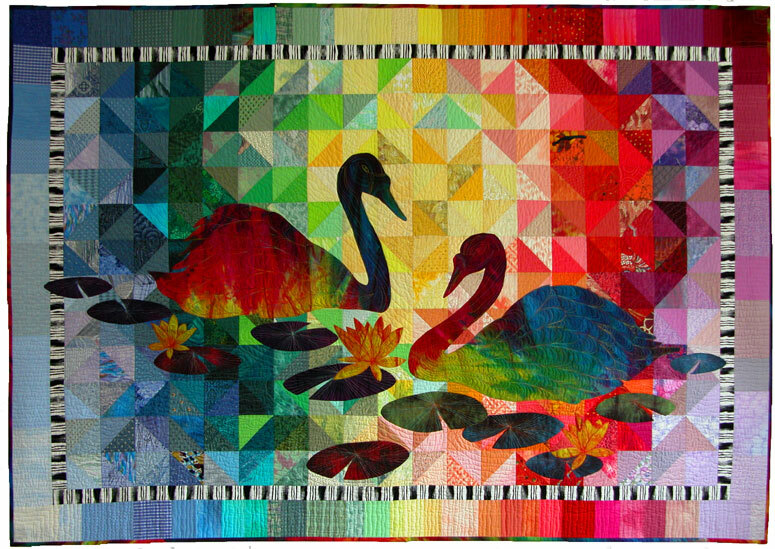 Swans, water lilies and a dragon-fly rest on a background of brightly colored triangles. 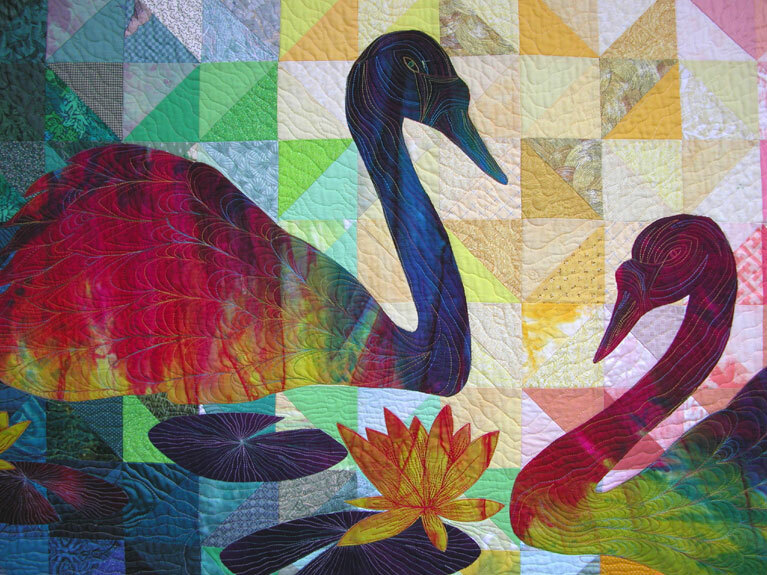 The figures of the swans and lilies are cut from hand dyed fabric by Laura Wasilowski. 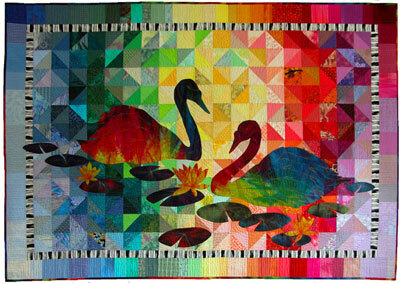 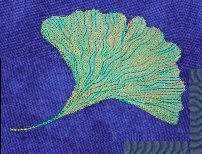 The subjects are heavily machine quilted with variegated thread, adding lifelike detail and texture.